Both Hank's locations (DC and Old Town) are throwing all-you-can-eat/drink gorgefests this weekend; shell out (oh!) 75 clams (double-oh!) 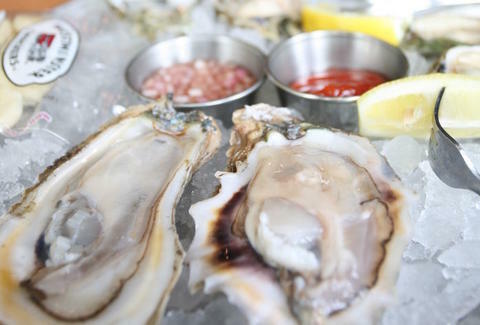 for bottomless rounds of the good stuff (Allagash, Brookyln Brewery, Troegs, etc), fried/bbq'd oysters, and fresh bivalves from local spots/purveyors like New Point Comfort, Blue Island, Rappahannock, and Dragon Creek, also where Matthew McConaughey vacations, so he can get away from it all, unwind, and shoot crossbows at ancient beast scourges.